One of the most traumatic events a person can experience is having a tooth knocked out. Dentists refer to a tooth that's been knocked out as an "avulsed tooth." There have been a number of incidents in which a child has come into my office after a traumatic fall or sports accident with a front tooth knocked out. It's a terrifying moment for a person of any age, especially a child. 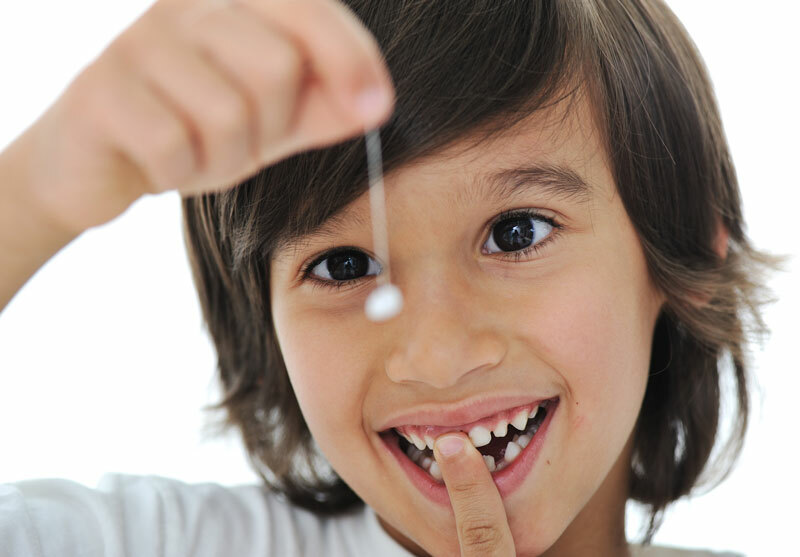 Most parents have wondered what they can do to help preserve the tooth when such an event happens. Believe it or not, when handled properly, in most cases the tooth can be saved and placed back in the mouth with little issue. Here are some suggestions to remember if this happens to someone in your family. First of all, don't panic. Of course, this is much easier said than done! Don't just pick up your child and run to the emergency room. Try to find the tooth. If you find the tooth and it is a permanent adult tooth, pick it up by the crown (upper portion) and try to avoid touching the root. Don't scrape or brush the root surface or remove the tip of the root. You can remove dirt and debris from the tooth by using your own saliva and by sucking on the tooth to remove dirt and debris and dislodge any clots that may have formed in the socket. It will make reimplanting the tooth easier. If it is contaminated, rinse it with water. If persistent debris remains, gently use tweezers to remove. Once you have done this, try placing the tooth back into the socket. When immediate reimplantation is not possible, place the tooth in the best transport medium you have and immediately get to your dentist's office on an emergency basis. Water is the least desirable transport medium. This best choices are a Hanks Balanced Salt Solution, milk, saline (salt water) or saliva. Usually, you can store and transport your tooth by placing it in your mouth along the area between the cheek and back teeth. If your child is under 6, you may not want this option, since the child may swallow the tooth. Why is it important to try to quickly reimplant a tooth? The primary goal is to preserve the periodontal ligament. This is the thin, fibrous ligament that connects the tooth to the alveolar socket (the area of bone in your jaw). Normally, teeth do not contact bone directly. Fibers of the periodontal ligament help suspend the tooth and allow some limited movement in its socket. These fibers act as shock absorbers for the forces of chewing we place on our teeth. If a tooth is out of its socket for less than 20 minutes, the prognosis for saving the tooth is much better. All periodontal ligament cells die if the tooth is out of the socket longer than 60 minutes. That is why you want to try to reimplant the tooth as soon as possible. Should the tooth be out longer than 60 minutes, soak it in a dental fluoride solution to make the root as resistant to resorption as possible. You will still have to get to the dentist's office immediately for treatment and prognosis. The dentist will clean the affected area and verify the proper alignment of the reimplanted tooth. X-rays will be taken, and the surrounding teeth and tissues will also be evaluated and treated. When a child knocks out any of the front four baby front teeth, there is usually no need to reimplant the lost tooth. Early loss of these teeth generally does not cause harm to the permanent teeth. But when the root of a permanent tooth is broken off and the root is still in the socket, reimplantation is out of the question. An emergency visit to the dentist will be required, where painkillers and antibiotics may have to be prescribed. The remaining root will need to be extracted, and a periodontist or oral surgeon will place a bone graft in the socket. An implant in the area will be an option later. I know it sounds yucky, but it is well worth it for the long run. So the next time someone loses a front tooth in an accident, be quick about handling the tooth properly and try to get to the dentist's office as soon as you can. Time is a major factor in saving the tooth. Call Smiles by Dr. Gibson & Associates today to reserve your personal appointment and experience Naperville cosmetic dentistry for an exceptional smile. Our Naperville dental office is convenient to Naperville, Aurora, Yorkville, Chicago, and surrounding areas. Naperville Cosmetic Dentistry at its finest. Exceptional Naperville Family Dentistry performed by a very compassionate team of Naperville dental professionals.